Schema markup is one of the latest evolutions in SEO. It is a new and powerful form of optimization, least used forms of SEO available today. The term is generally used to boost your website in the search engine result pages (SERPs). 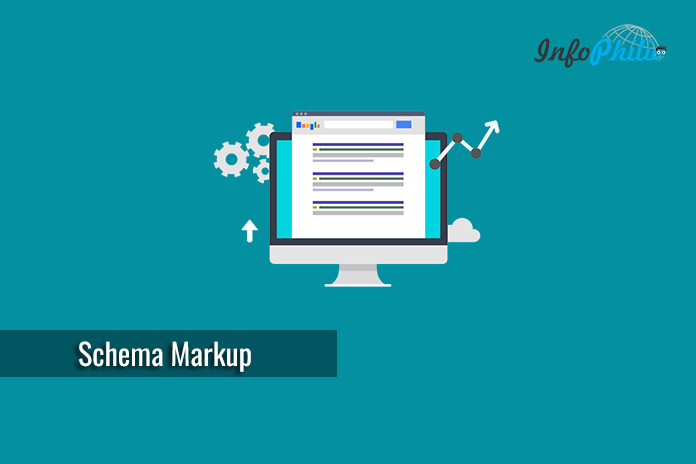 In this article, you will get to know, why schema markup is necessary for better SEO and how to use it in a proper way. But before moving further, let me introduce you to the Schema Markup first. Originally, Schema markup is a form of microdata found at Schema.org. Once added to a web page, it creates an enhanced description (commonly known as a rich snippet), which appears in search results. It is in the form of code that you need to put on your website to help the search engines return more informative results for users. It works like rich snippets. The content on your website gets indexed and returned in search results. Obviously. But with schema markup, some of that content gets indexed and returned in a different way. It because of the markup tells the search engine what that content is all about. When the websites use schema markup in place, users can see in the SERPs what a website is all about. As rich snippets make your web pages seem more prominently in SERPs. Similarly, Schema markup improves your visibility that has been shown to improve click-through rates. Websites that use schema markup will rank better in the SERPs than companies without markup. Almost one-third of Google’s search results include a rich snippet with Schema.org markup. <span itemprop="ratingCount">[Number of ratings]</span> users. Reviews: <span itemprop="reviewCount">[Number of reviews]</span>. Websites that use schema markup ranks four positions higher in the SERPs than websites without markup. Using schema markup via code can be bit tricky. To ease this task, there is a tool available named as Structured Data Markup Helper. 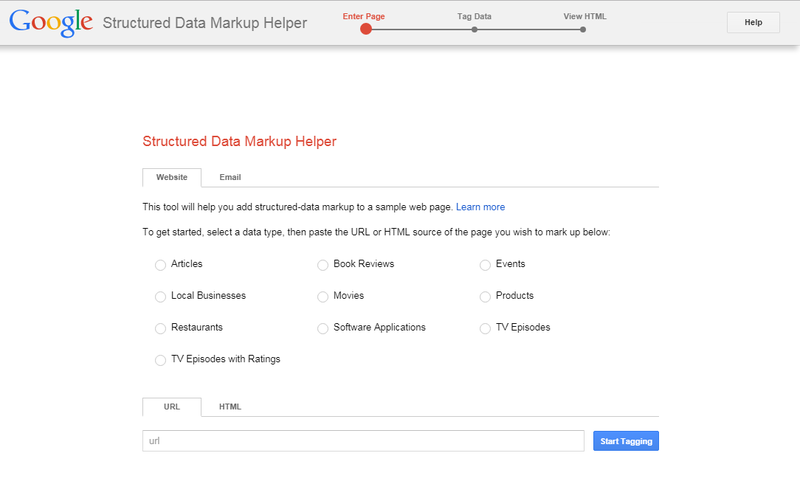 The tool Structured Data Markup Helper is designed to help you carry out structured data on your site. Structured data markup is a universally shared language format. It helps search engine to understand and offer better results for users who are searching for relevant data. Through the helper tool, you can add markup and how to do it. How to use Structured Data Markup Helper? It will first ask you to select the type of data you want to markup. Later on, paste the URL of that web page where you want to carry out markup schema. Once you paste in the URL (or HTML), click on start tagging. The page will load in the markup tool, and provide you with the workspace for the next phase of markup. Your web page will appear in the left pane and the data items in the right pane. Once you have done with adding items, it’s time to create HTML. It will show you HTML of your page with added microdata in the spots that you selected. Add markup to your web page by simply downloading the automatically generated HTML file, and copy/paste it into your CMS or source code. You can also analyze the code that the tool generated for your web page. Copy the downloaded code and paste it in HTML. Click Preview. It will show you How the article will look like in search engine. If you are WordPress user, you might be aware of term plugins, right? There are many plugins available to add schema markup to your pages. SEOPressor is one of them which provides seamless integration of schema mark on your pages just within an editor section. With SEOPressor, you can improve the search relevancy easily without having a mess with single line code. So, WordPress users can install the plugin and forget about the code stuff to get Scheme Markup. Get your license for SEOPressor, it’s worth buying. Schema markup is one of those SEO innovations that will probably help us for a long time. Through this tool (I hope), you will forget about your fear that you might have after hearing the word Schema. Now, improve your search results by doing this in right way. I hope this guide may successfully help you in adding schema markup. Let me know your reviews in the comment section below. The Schema will more useful on business website to explain about event or promo information. Nicely written! Very helpful! Thanks! Thanks for sharing this vital info on schema markup and as u mentioned in your blog that hopefully ur fears are away about the word schema after reading this blog. You are right about it. It was very useful for me. especially when you explained about structured data markup in detail, how it works and how the data looks in the left pane and right pane etc. 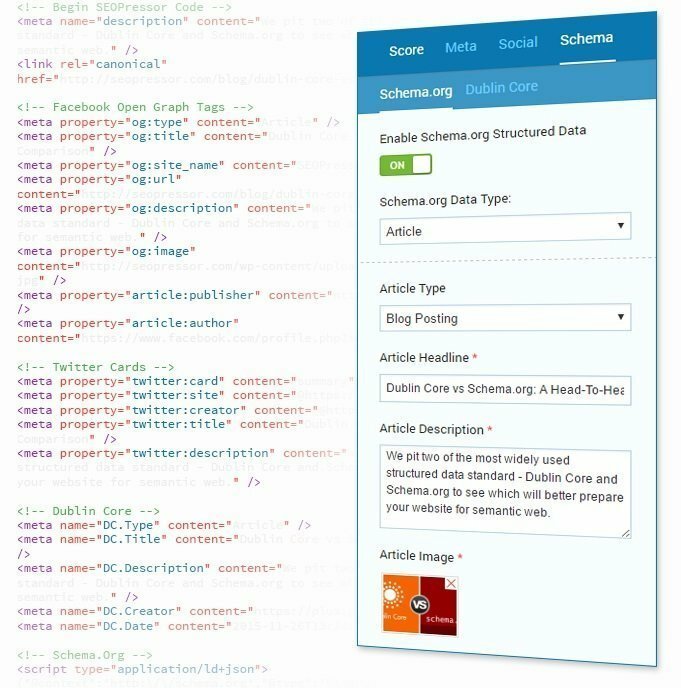 Can we use schema markup for blogs also? Yes, you can use Schema markup for blogs, articles, pages, homepage, etc.